This one was cut out before Christmas! I finished it some time in January, and finally got it photographed now that it's February. I prefer Miss M to wear long dresses for modesty's sake. She is, after all, a very active little girl. To that end, I added 2 inches to each of the skirt panels. I also added an inch to the length of the sleeve because my girl has freakishly long arms just like her mother. 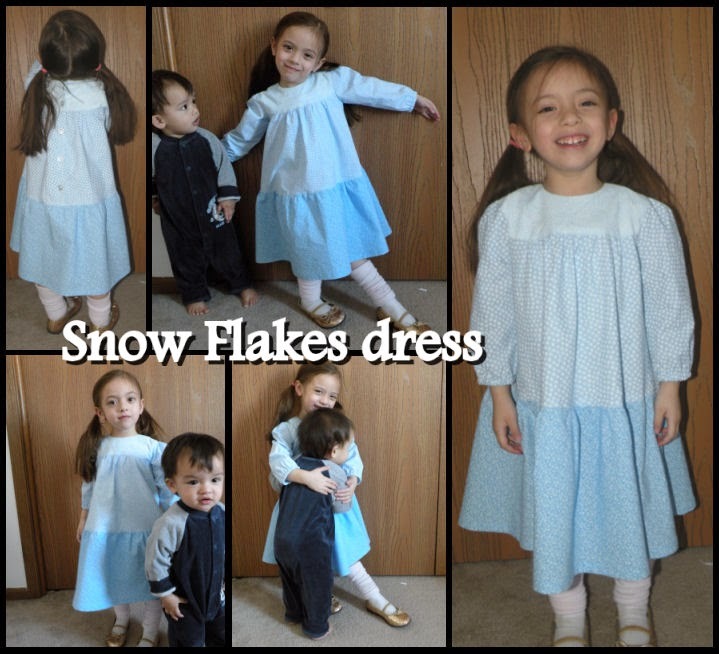 The pattern is the Snow Flakes dress (Ottobre 6/2010, #7), size 86. (Incidentally, did anyone notice that the pattern only goes up to size 86, but in the magazine it lists size 92 as well?) In the magazine it is pictured on an infant, so I was curious to see how it would look on a bigger girl. I have mixed feelings about it. On the one hand, it's darling and I love how it fits Miss M, but on the other hand, adding 4 inches total length did unbalance the design a bit. In future, I might add the length by adding a ruffle or eyelet to the hem rather than lengthening the panels. Little Guy wanted to see what his sister was up to during our mini photo shoot. He absolutely adores her! And well, we rather adore him too! 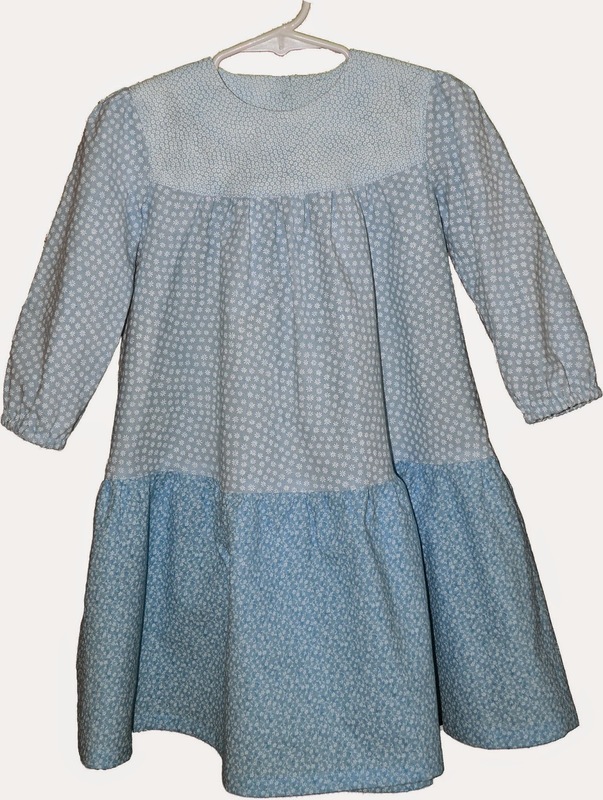 Don't you think a frilly white pinafore would look delightfully old-fashioned over this dress? The dress is adorable! It looks so sweet and comfy. When adding that much length, it is best to add a bit to each section to maintain the proportions. Very nice dress! It does look comfy. I wanted to make it too and haven't gotten around to it. If it only goes to an 86, though, I'll have to do it soon. My youngest is in an 86.